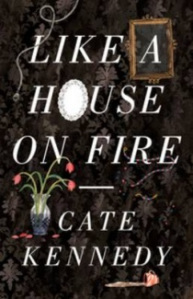 Like a House on Fire is a book of short stories. If you’ve followed my blog for any length of time, you’ll know what’s going to come next. I’m going to say that I don’t know how to talk about a collection of short stories. That I don’t know how to read them- one at a time and feeling short-changed, or moving on to the next one and feeling bloated. That they finish before I have time to engage at any level with the character. That I just don’t like them. Well, none of that is true with this book. Perhaps, after 15 years of being able to indulge my love of reading more fully, I have finally learned how to read a short story. My discovery: one story at a time ONLY , then go on to read a non-fiction book instead. The single story has enough space to expand; it’s not squashed down to fit the next one in. Or perhaps, these are very, very good short stories. They have all been published elsewhere in journals and magazines as is often the case in compilations like this. Every single one of them is memorable, and for me that’s a big thing. All too often I find myself reading the next story in a collection because the last one has been too insubstantial: the term ‘meh’ fits exactly. But with these stories, each one is memorable in its own right, and I found myself recognizing their truths in other places. The story ‘Five Dollar Family’, for example, where a new young mother, exhausted, drained, looks to her dead-beat young partner and is stiffened into resolve to move beyond him- surely I saw the story lived out in an episode of ‘The Midwives’ a few weeks ago where a young single mother in Manchester likewise grew up, almost before your eyes, through the act of giving birth. Or the story ‘Cake’ where a new mother returns to work for the first day, torn by the act of leaving her child at creche, feeling as if she is play-acting a pre-baby life that she has moved beyond- even if you haven’t been in that situation, I think we’ve all felt the way that workplace routine comes a sepia filmreel, a nothingness, after some big, life-changing event. Many of these stories involve bodies: most particularly women’s bodies and medical intervention- the night before a breast biopsy; the waiting room before a miscarriage is diagnosed. Others are told from a male or a child’s perspective. The story which gives the collection its title is about a young father with back-ache and it is so well told that you find yourself arching your own back in response, while at the same time suppressing the suspicion that he’s exaggerating. The opening story, ‘Flexion’ which takes in a longer timespan that many of the other slice-of-life stories in this collection do, traces a wife’s ambivalent response as her leathered, laconic farmer husband recovers after a tractor accident. For me, it says a lot that I can flip through the book, glimpse the title at the top of the page and instantly recall what the story was about. I don’t think that I’ve ever enjoyed a collection of short stories so much. I wouldn’t feel in the least disgruntled or short changed should it win the Stella Prize for which it has been short-listed. 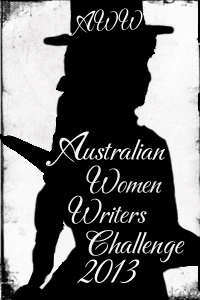 This entry was posted in Australian Women Writers Challenge 2013, Book reviews. Bookmark the permalink. Oh RJ, there are many many many good/great short stories. I’m truly glad you enjoyed these but they aren’t the only great story collection ever written. Take Marjorie Barnard’s The persimmon tree collection for example, or Nam Le’s The boat, or so many others I could name. I love short stories for the very reason that you can read something complete in a short period of time and think about it. No worries about having breaks in reading and forgetting the beginning (as is my history with War and peace) but a complete whole able to be read in one sitting. Anyhow, really glad you liked this … must find time to read it! I’ve read both the collections you mention. Looking back through this blog, I reviewed ‘The Boat’ and I read ‘The Persimmon Tree’ before I started blogging. I was obviously pretty impressed with Nam Le, but I didn’t think much of Barnard (sorry- I know that she’s a favourite!). I commented that several of the stories in The Persimmon Tree were rather slight, and it seems that I wasn’t completely won over by ALL of Nam Le’s either. What struck me about this collection was that there wasn’t a single story that I shrugged at. I had a feeling you had. Must say that I don’t think any of Barnard’s or Le’s were slight or to be shrugged at. Barnard’s though are of a different era. The one, for example, about the woman buying a hat or the one about the girl with her dress and meeting her boyfriend’s parents for the first time are so moving. (Don’t remember which ones you thought were slight … but all I remember from reading this collection a couple of times is a gut-wrenching feeling of the challenges women face/d in living their lives.) And I found Nam Le’s collection to be so astonishingly varied. I didn’t “shrug” at any story though some I think moved me more than others. For the most part, this is a collection of the most depressing stories I have read. I agree with Whispering Gums that women are doing it tough but, let’s face it – we read for many reasons and the story must hold the readers’ attention. If you look at these stories from the “women are facing challenges” aspect, Kennedy could tell the stories warts-and-all but the endings should offer some solution to this dilemma. If women are not actively seeking to achieve a positive outcome then nothing will ever change. Laminex and Mirrors showed a strong female, Aunt Jacinta in 72 Derwents offered a solution, Rebecca in Cross Country could well have turned her life around and realised the boyfriend would never be more mature than a 14 year old. Thank you for commenting. Unfortunately I can’t remember enough about the stories to respond, which doesn’t say anything about the stories, but does say a lot about me! (I laughed when I read my own post that said I could remember them! at least I could when I wrote it! ), I don’t know that I need a positive outcome at the end of a short story, although I do like to think that the shard of life that has been written about has some sense of completeness.